The All India Institutes of Medical Sciences are a group of autonomous public medical colleges of higher education. These institutes have been declared by an Act of Parliament as Institutes of National Importance. AIIMS Delhi, the fore-runner parent excellence institution, was established in 1956. Applicants who have completed B.Sc. (Hons.) in Nursing, GNM or equivalent from a recognized Institute for AIIMS Recruitment 2019. 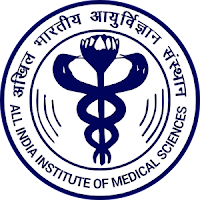 Eligible & Interested candidates can apply via offline in Official website page in www.aiimsexams.org AIIMS Recruitment 2019. Log on to AIIMS careers page at the official website www.aiimsexams.org.